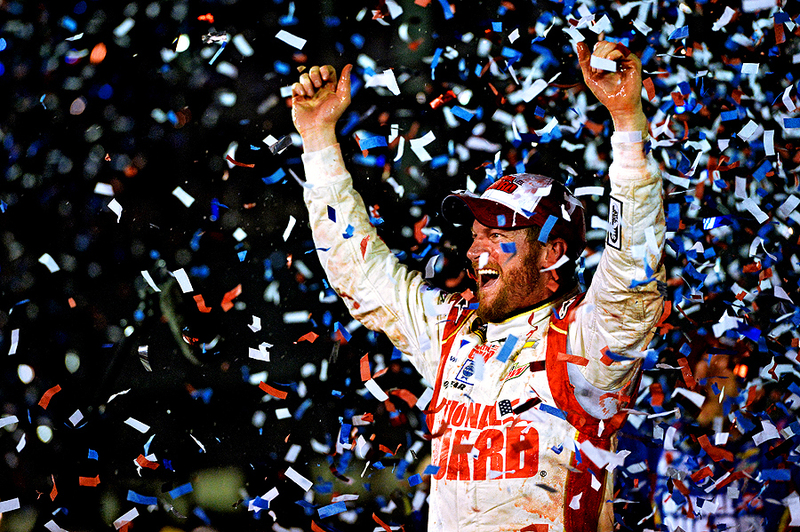 "Dale Earnhardt Jr., driver of the #88 National Guard Chevrolet, celebrates in Victory Lane after winning the NASCAR Sprint Cup Series Daytona 500 at Daytona International Speedway on February 23, 2014 in Daytona Beach, Florida." Over the past two weeks, I had the incredible opportunity to document Speedweeks, and the Daytona 500, with Getty Images. We worked hard and covered everything from the K&N Series, the return of the famous number 3 car, to the race boasted as the Super Bowl of NASCAR - the Daytona 500. Every day was spent at the 2.5-mile super speedway working hard to deliver the best imagery in motorsports. Simply put, it was a humbling opportunity to be apart of the team, watching lots of inspiring images be shot by each and everyone on the squad. Another shout out the boys behind the screens, editing through endless images for two weeks, too. In coming weeks I will try and recap some of my favorite images from the two weeks, but with a busy schedule, we'll see how that pans out. Looking forward to some more racing this year - and couldn't have started it any better with a more talented team. 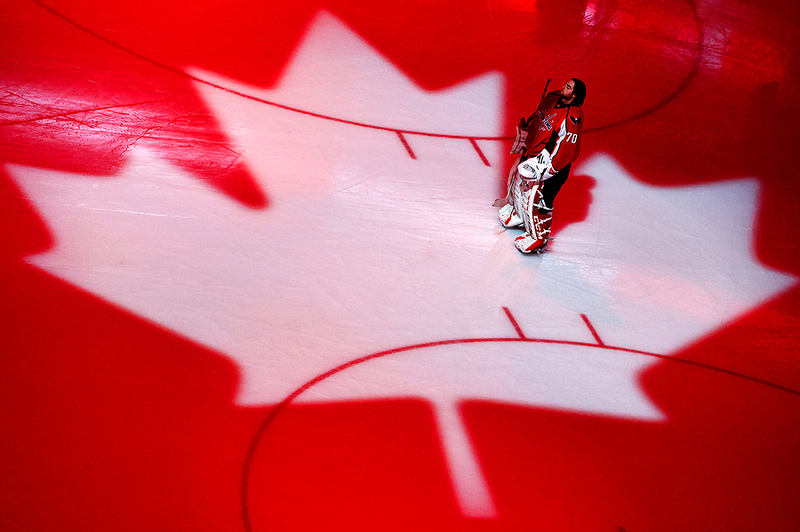 "Braden Holtby #70 of the Washington Capitals has a moment to himself during the Canadian national anthem before playing the Winnipeg Jets in an NHL game at the Verizon Center on February 6, 2014 in Washington, DC." It's no surprise that I love finding quiet moments in sports. A lot of the time, these can be found just before the game or match begins from all vantage points. Whether in the locker room or from high atop the arena. Covering the Washington Capitals taking on the Winnipeg Jets for Getty Images there was a special puck dropping ceremony that had many photographers at the game. With the help of another teammate, photographer who was on ice, I decided to get away from the pack. I marched up the shy of a few rows of the top of the arena and waited for the said pre-game puck drop. But shortly after, instead of venturing back to ice level to my marked position for the game, I stayed atop and worked the player introductions. While this isn't a new view for fans that sit in the 500 level, it's a reminder that as a photographer, even though the seats may cost less up there, that doesn't make it a bad view. 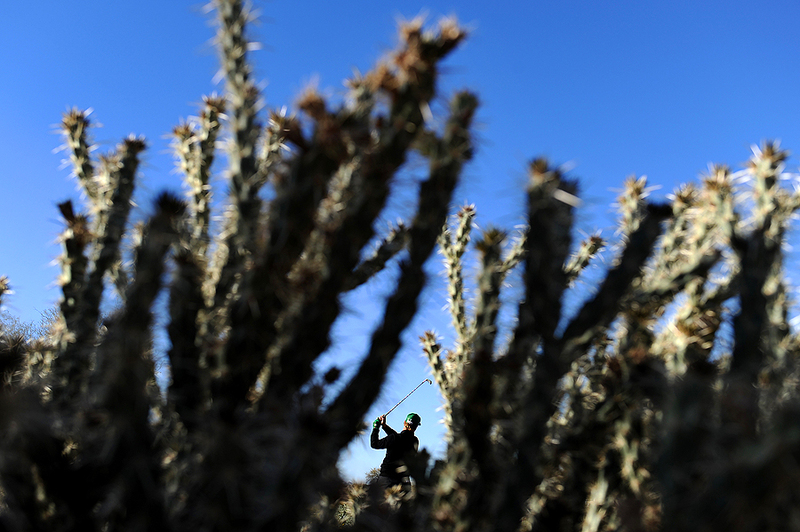 "Charley Hoffman plays a shot on the 12th hole during the final round of the Waste Management Phoenix Open at TPC Scottsdale on February 2, 2014 in Scottsdale, Arizona." As January came to an end, I had the amazing opportunity to not only edit for Getty Images, but to shoot some PGA Tour during the Waste Management Phoenix Open at TPC Scottsdale. Each morning I was given the chance to venture the immaculately groomed course to find some art that helped contribute to the team's amazing overall set of pictures. As the afternoon hit, I jumped in front of the computer to edit the compelling work of the other photographers. During my time shooting, I did my best to help out the team on the famed 16th hole at TPC Scottsdale. A polar opposite of what golf usually is, this hole encourages fans to cheer and celebrate the players without fear of being tossed from the tournament for being too loud. Very interesting to say the least. As the sun rose, I found myself walking around with a wide angle lens most of the time I had to shoot and couldn't help but to see graphic images in front of my lens as I looked between cactus and steeped back for general views of natural landscapes. "Gabriel Rosado bleeds in his corner between rounds against Jermell Charlo in their WBC Continental Americas Title match at the DC Armory on January 25, 2014 in Washington, DC." Expanding from my last post on boxing from the DC Armory, I wanted to share one more image as it always amazes me how much athletes put their bodies on the line. In boxing, these men and women are putting their charming looks in jeopardy as they slug one another in the face. Obviously they don't care about their appearance as they compete in a sport they love. 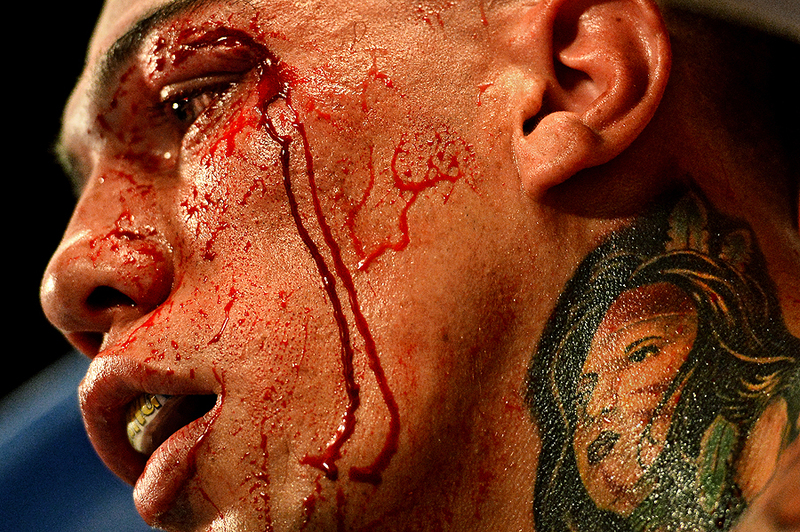 This image of Gabriel Rosado resonated with me not because of the blood dripping from his eyebrow - because a busted up face isn't an uncommon sight in boxing. Yet it was the juxtaposition between his neck tattoo and his eye wound. I'm not sure who the woman is stenciled on his neck, but the way she is looking at the scar gave me a motherly connection, worried feeling.